© 2018 Redi Services LLC. As many of you have now seen, the 2,500-foot setback measure qualified for the November ballot. 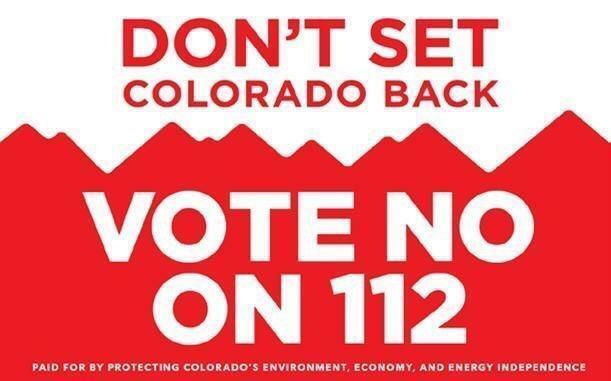 If passed by voters this November, Proposition 112 will essentially ban all future oil and gas development in Colorado. It will increase the new drilling setback distance to nearly a half-mile, five times the current setback. This will have devastating effects on our state’s economy and our industry. According to the Colorado Oil & Gas Conservation Commission (COGCC), this increase would eliminate 94 percent of non-federal land available for drilling in Colorado’s top five oil and gas producing counties combined. Additionally, a recent study released by the Common Sense Policy Roundtable says Prop. 112 would result in the loss of nearly 150,000 jobs and up to $217 billion to Colorado’s economy over the next 12 years. Please join us and vote NO to Proposition 112!